LITTLE TYKES JUMP & BUBBLES! 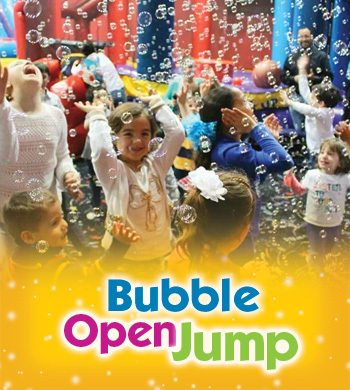 Little Tykes Jump is a dedicated time for little jumpers, ages 6 & under. They will have a blast jumping on our inflatables and playing with other interactive games and toys. With a special bubble time included, nothing delights them more than chasing, catching & popping bubbles! (Jump card sold in store only). No outside food, cakes or drinks allowed during Little Tykes Jump. SCHEDULES ARE POSTED WEEKLY AND MIGHT VARY EACH WEEK. CHECK OUR CALENDAR FOR EXACT SCHEDULES. Socks & signed waiver required to jump. Save time & reserve your spot online! Little Tykes Jump schedules subject to change without notice. CLICK HERE to sign a waiver & save time! 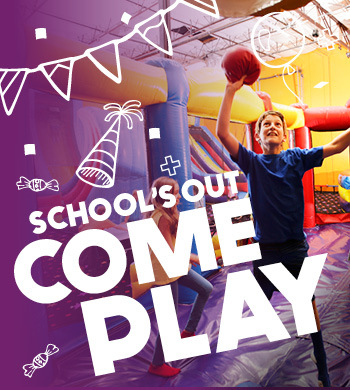 You don't have to wait to be invited to a party to play at Pump It Up! Come to Open Jump! SCHEDULES ARE POSTED WEEKLY AND VARY EACH WEEK. CHECK OUR CALENDAR FOR EXACT SCHEDULES. Snacks available for purchase. No outside food, cakes or drinks allowed during Open Jump. Save time...complete waiver and reserve your spot online! Open Jump schedules subject to change without notice. 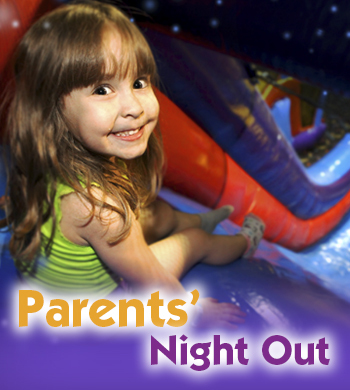 Parents' Night Out (PNO) is an opportunity for parents to have 3 hours of stress-free time away from the kids. Drop them off at Pump It Up and we will entertain them for you! The kids will have a blast jumping on our gigantic inflatables, participating in fun games, activities and doing crafts. We have plenty of staff & supervision on site, so rest assured your kids are well taken care of at Pump It Up. Price includes jump time, pizza dinner, movie, games, crafts, themed activities & lots of FUN!! SEE YOU AT PARENTS' NIGHT OUT!